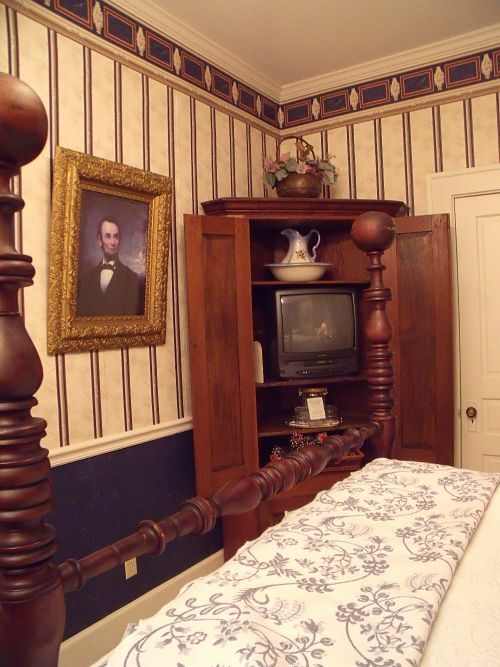 This room is a tribute to two of our greatest presidents. 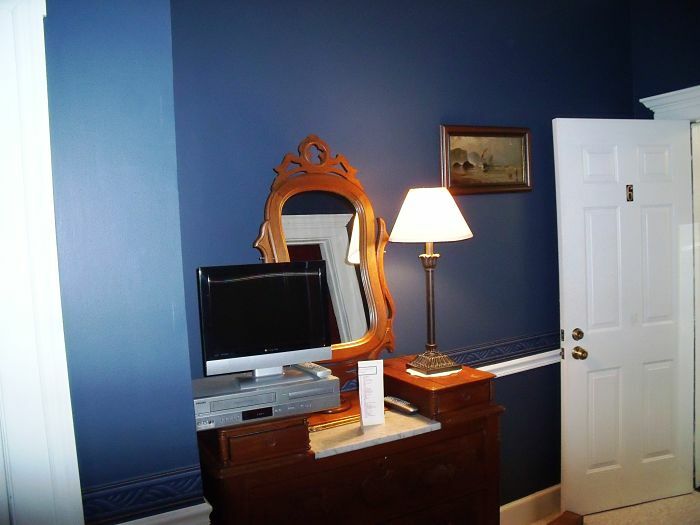 One surveyed the Ohio River Valley and one stopped in Augusta during his campaign. 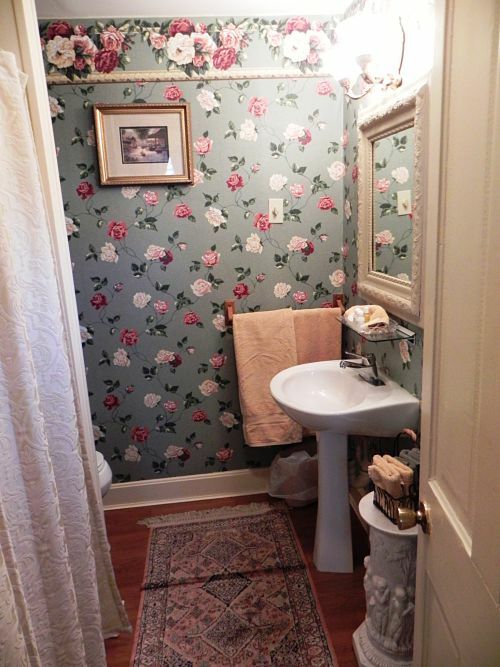 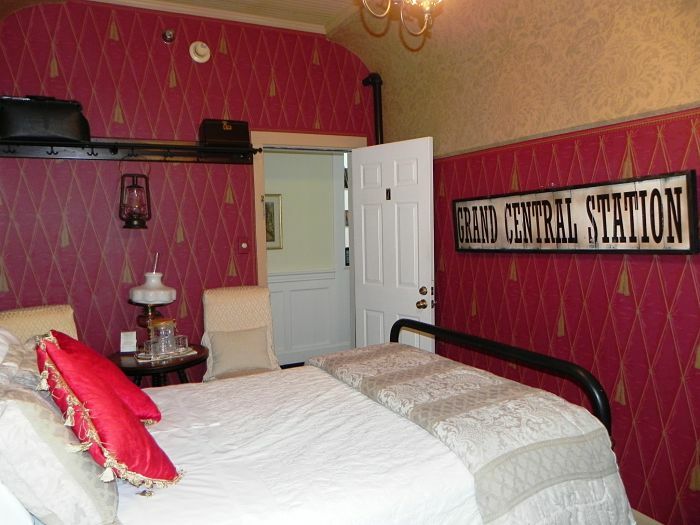 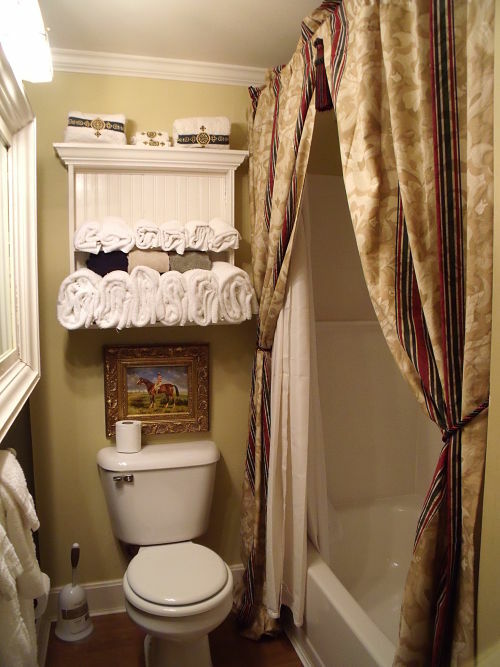 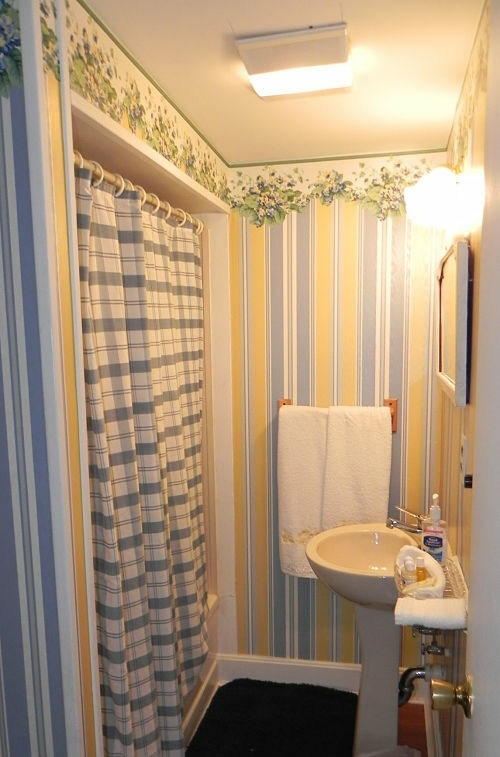 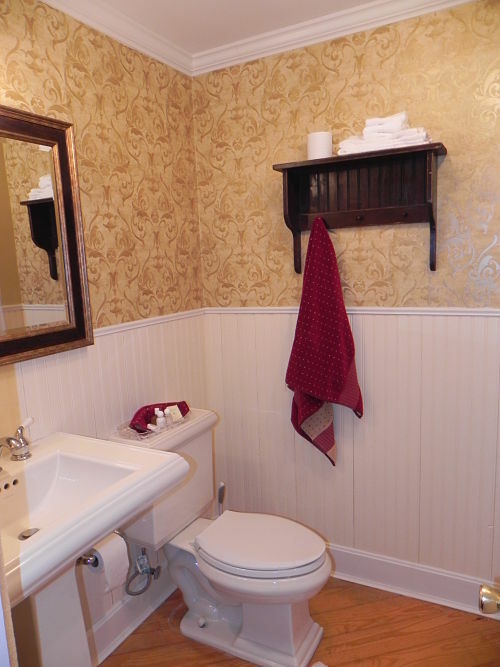 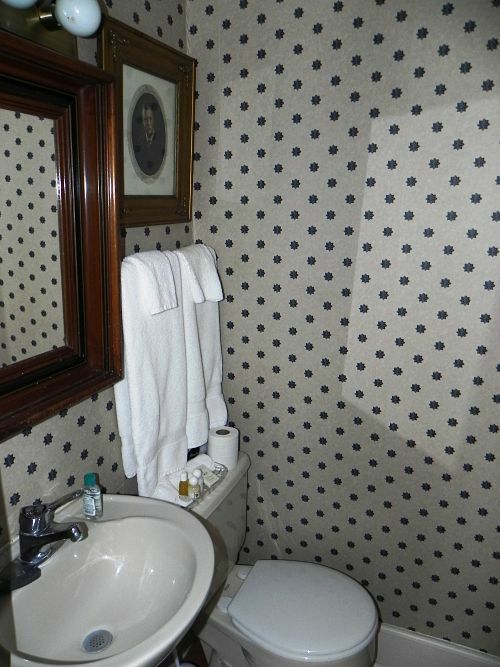 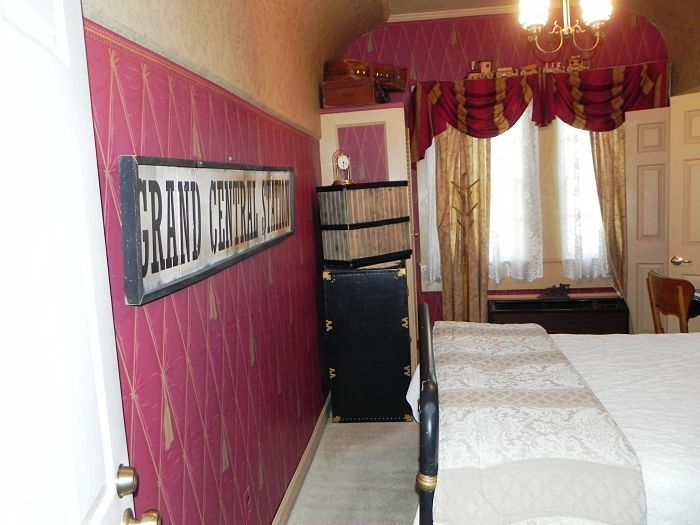 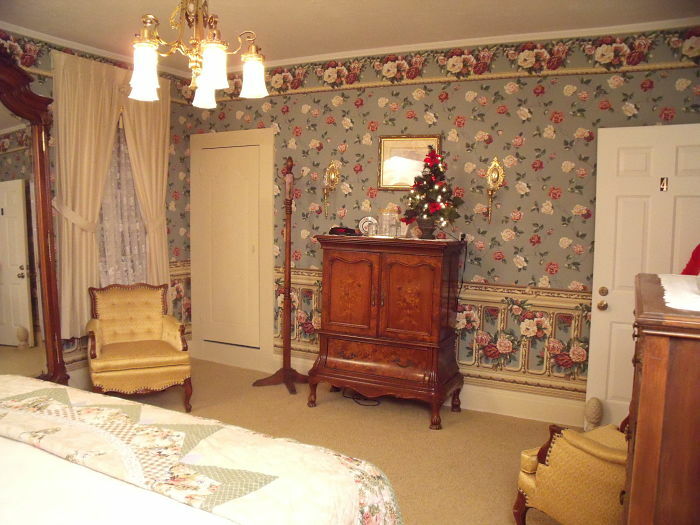 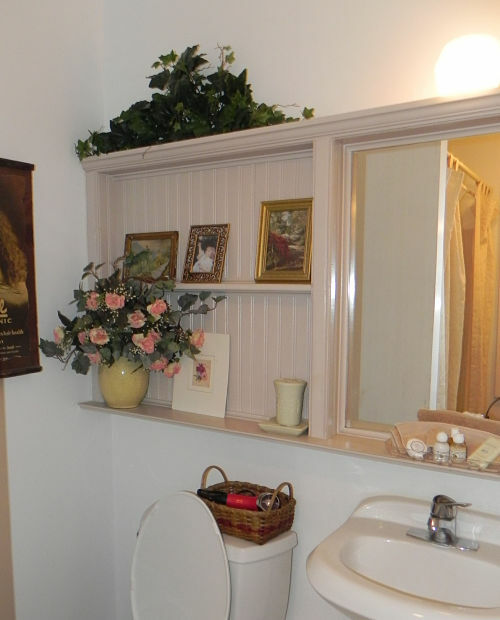 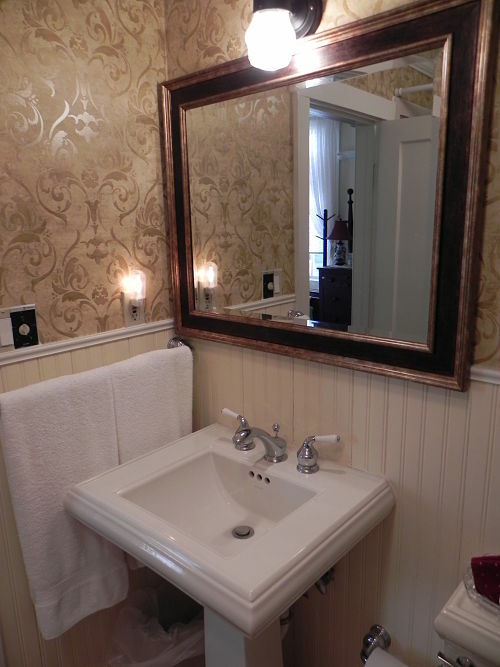 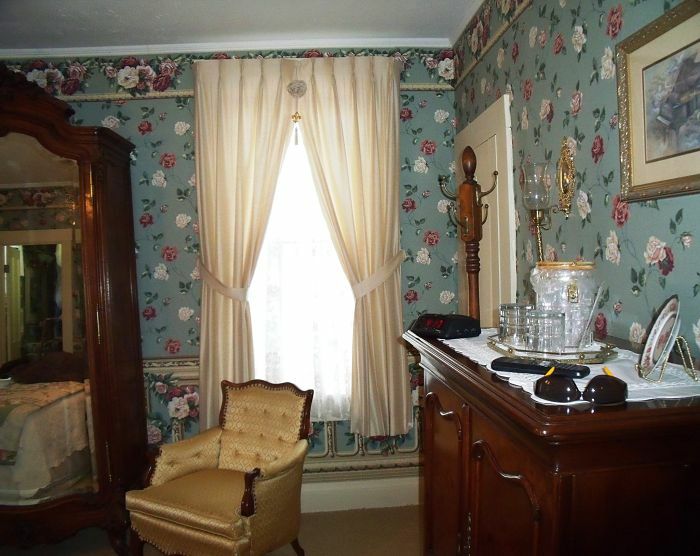 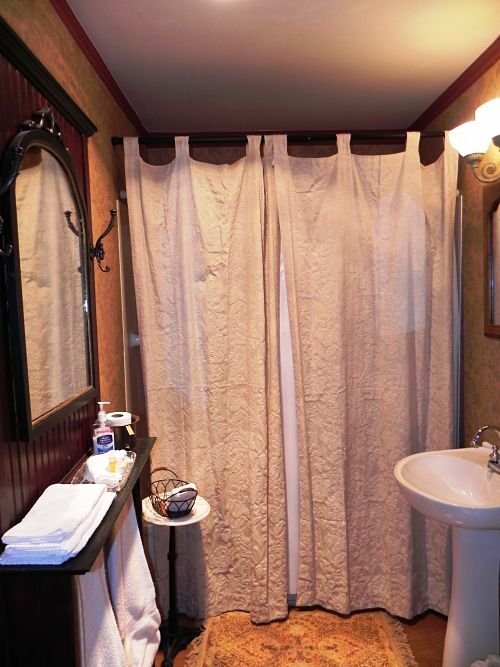 Features an antique cannonball full bed and private bath. 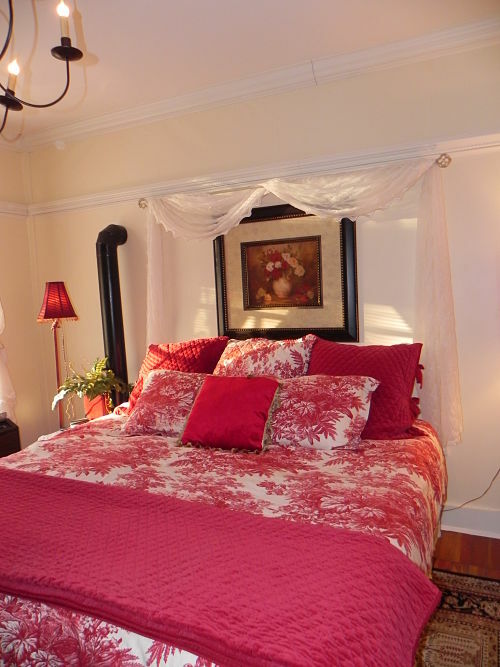 A luxurious temperpedic king bed with adjustable bed and foot controls. 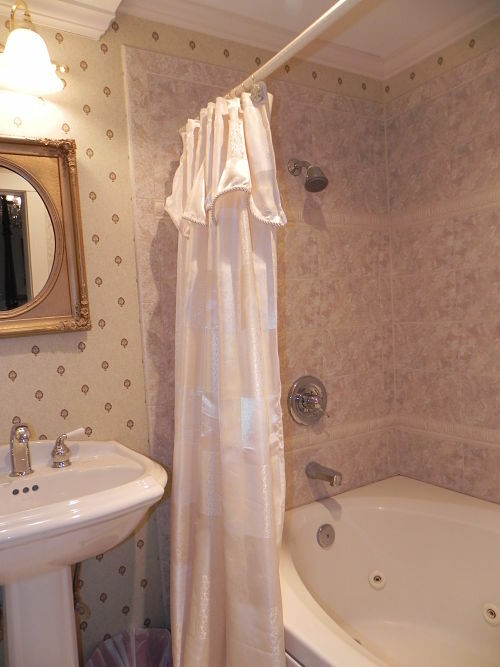 The bathroom includes a relaxing jacuzzi tub. 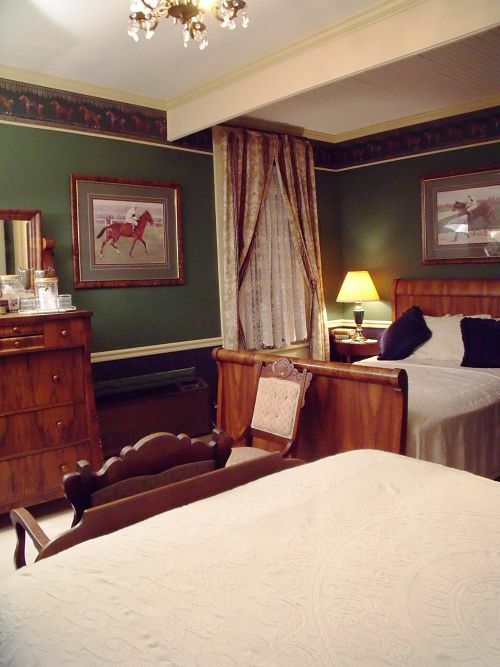 Perfect for a special getaway. 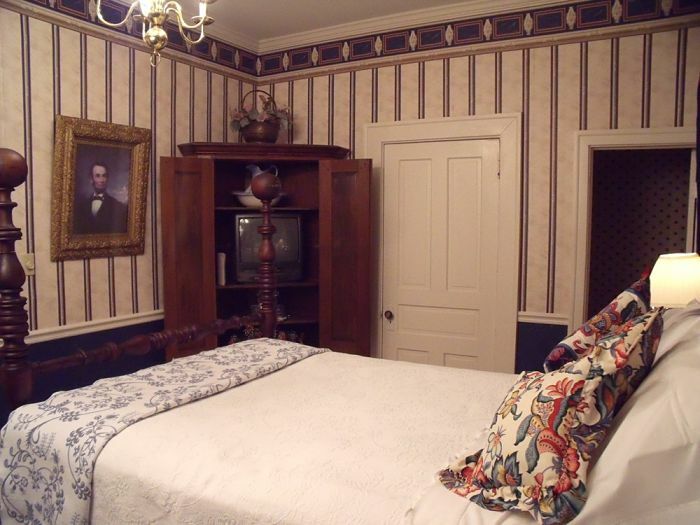 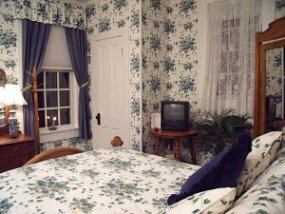 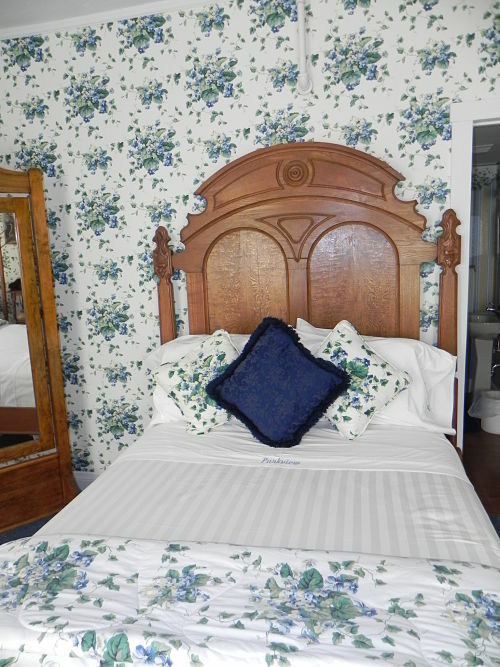 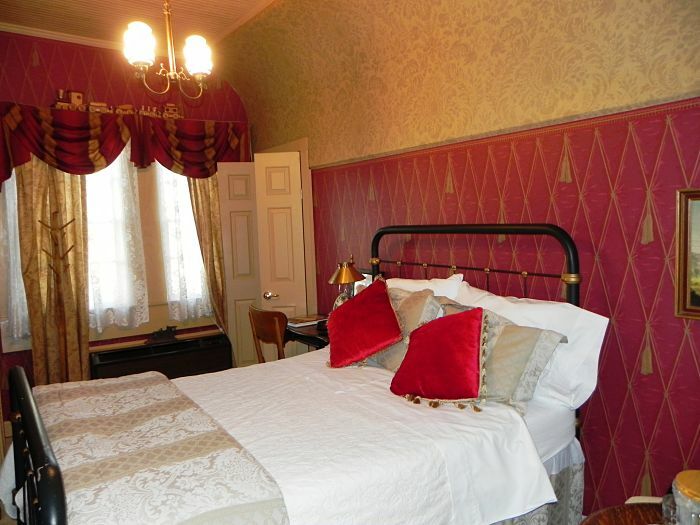 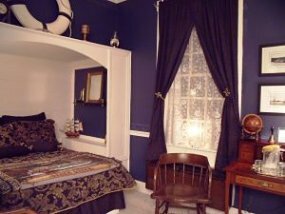 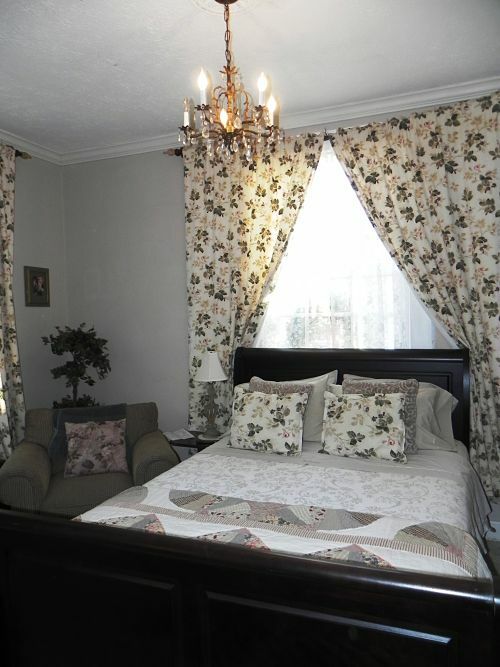 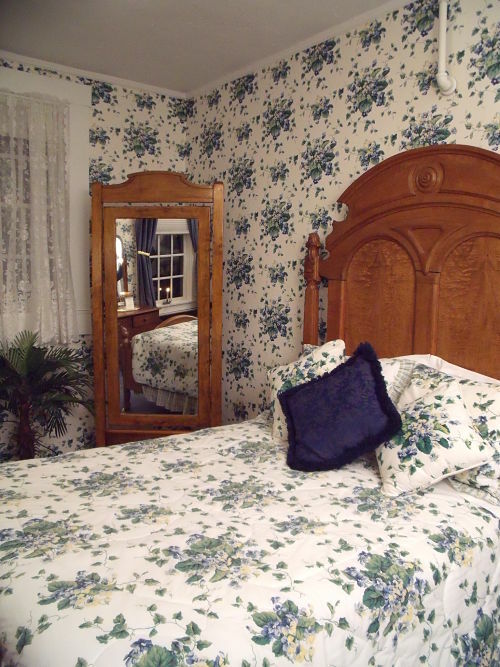 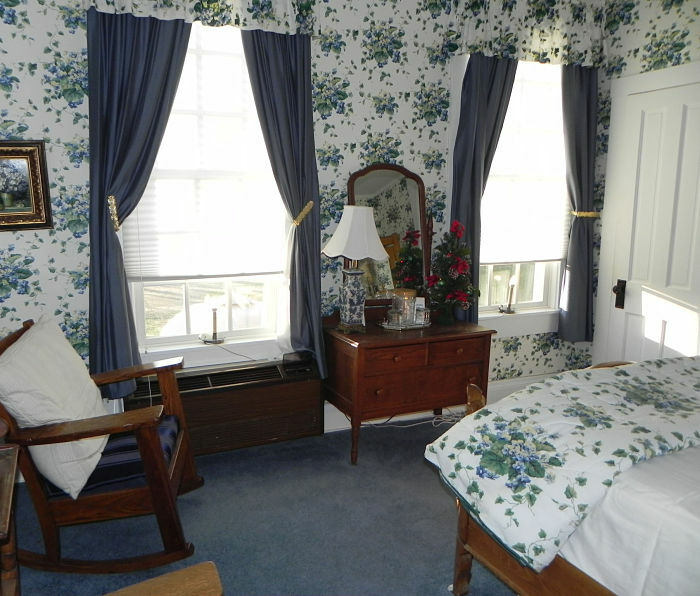 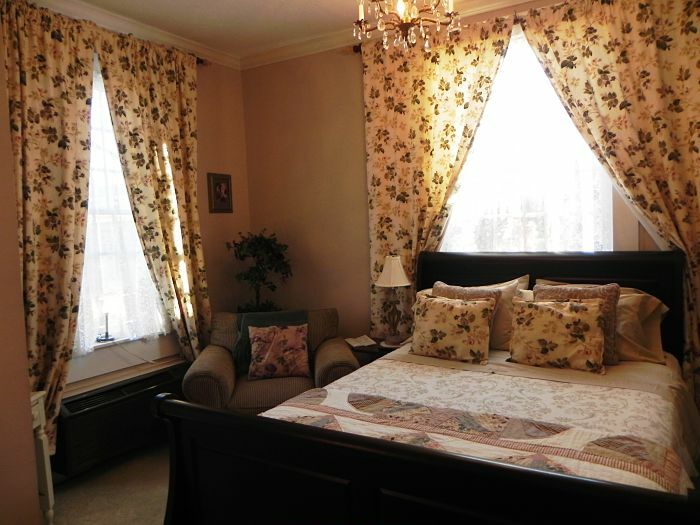 Enjoy a restful retreat in this beautiful room that features a Victorian full bed. 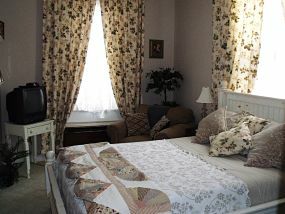 Looks out onto the Parkview garden. 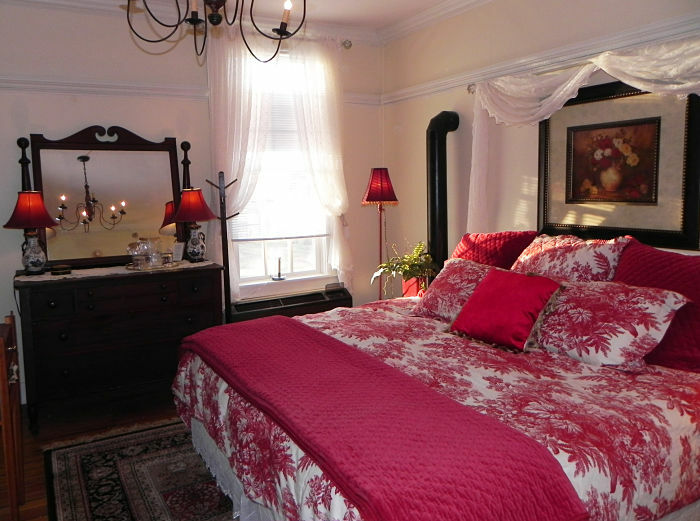 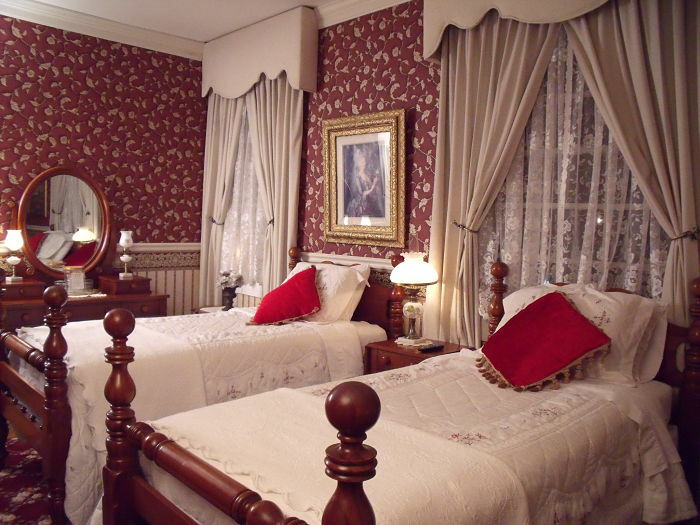 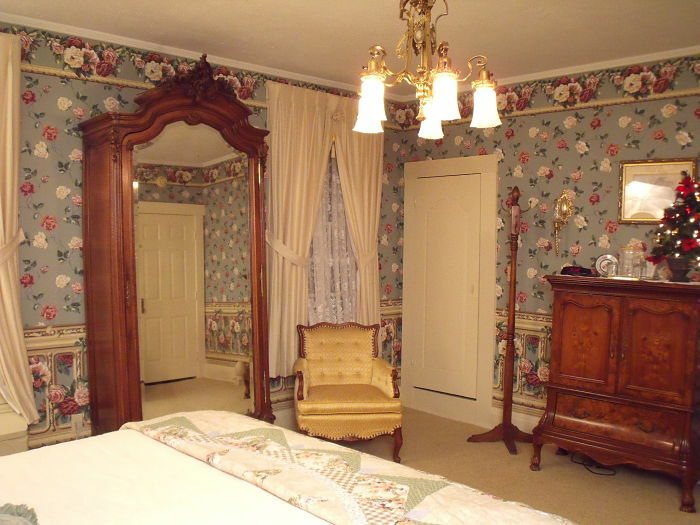 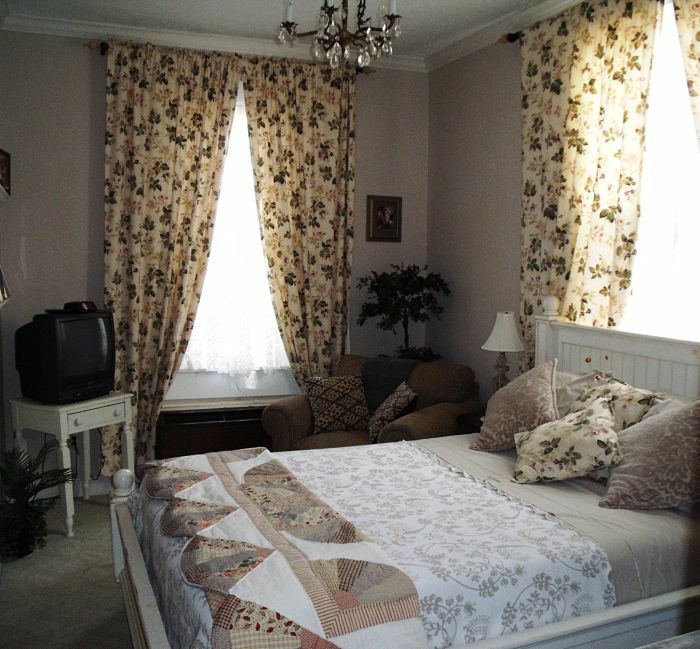 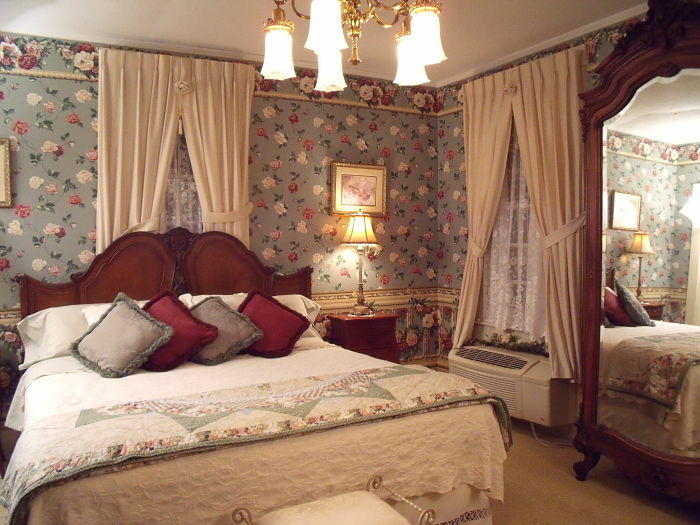 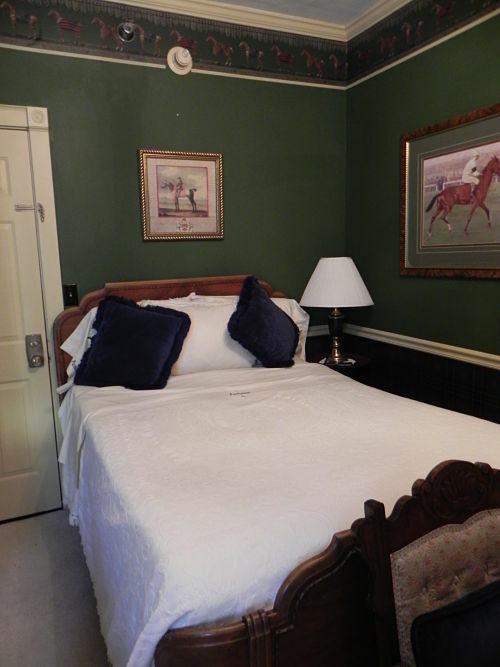 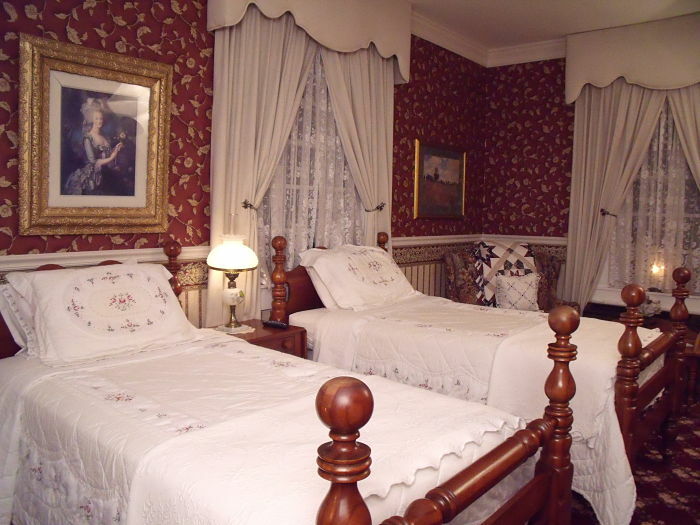 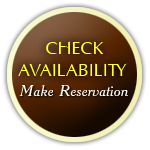 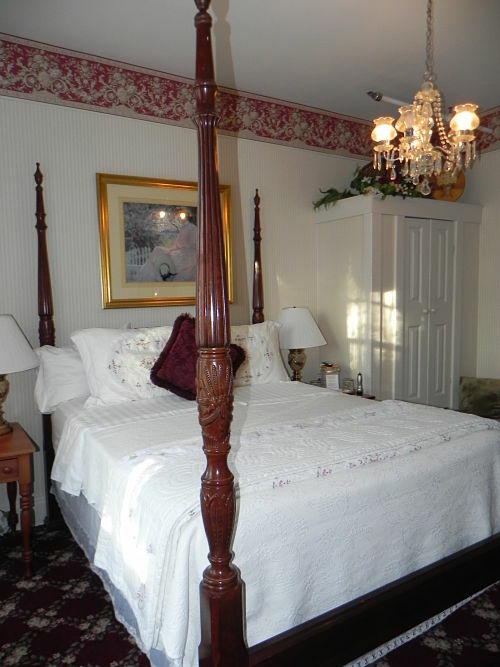 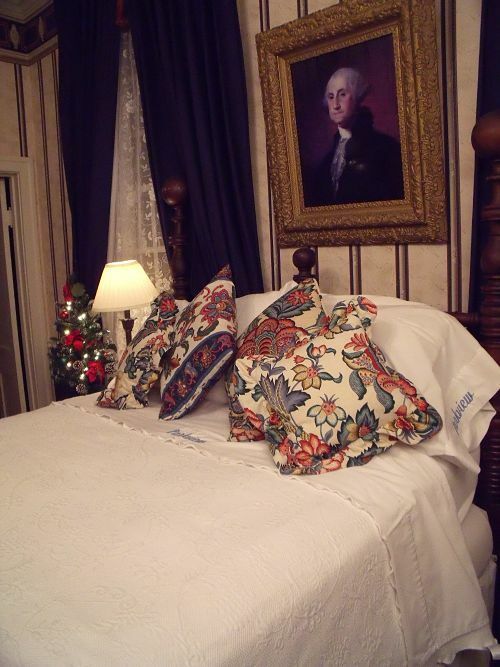 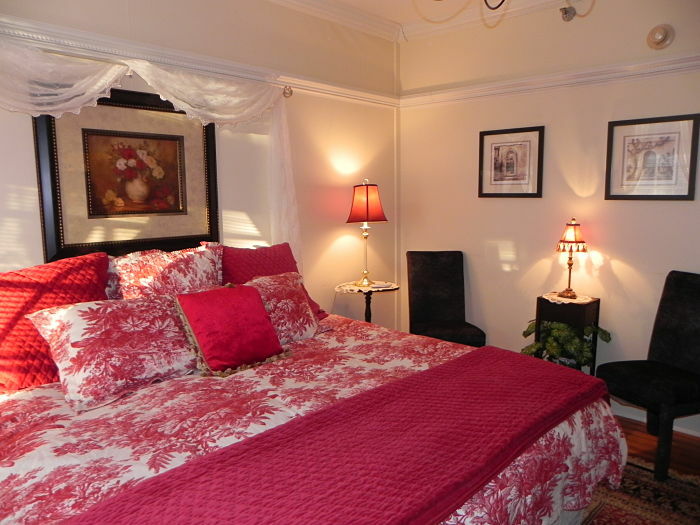 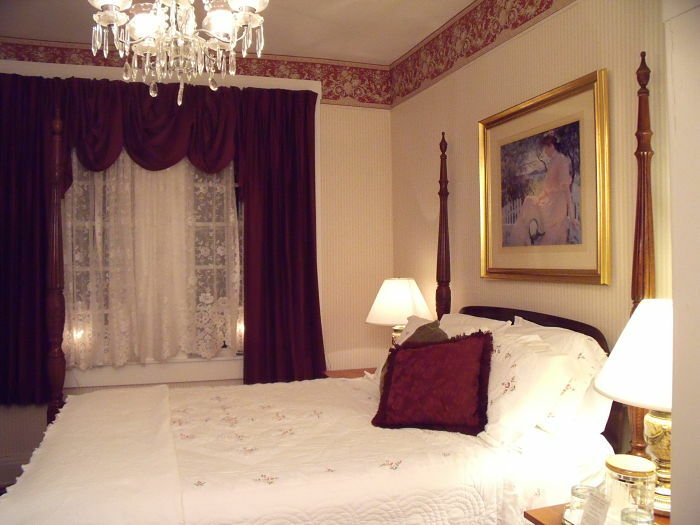 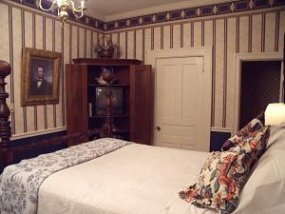 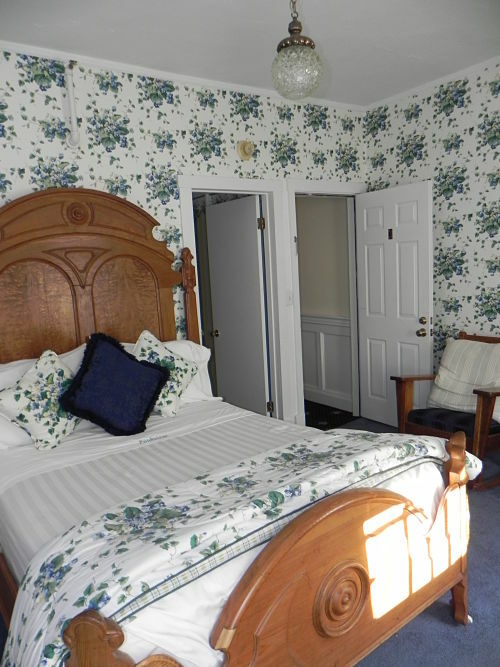 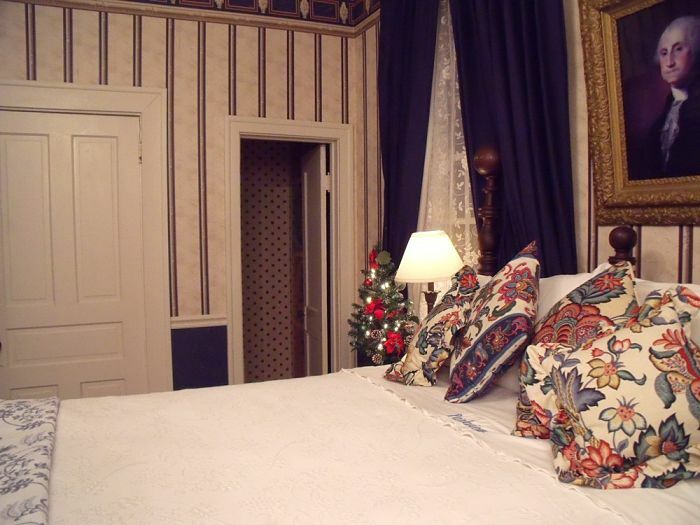 A beautifully appointed room with antique king bed and victorian furnishings. A favorite with honeymooners! 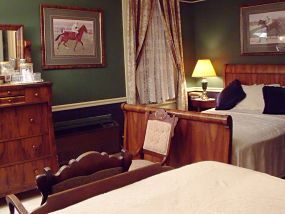 Decorated in the spirit of Kentucky’s legendary horse tradition this room celebrates Kentucky’s rich equestrian history. 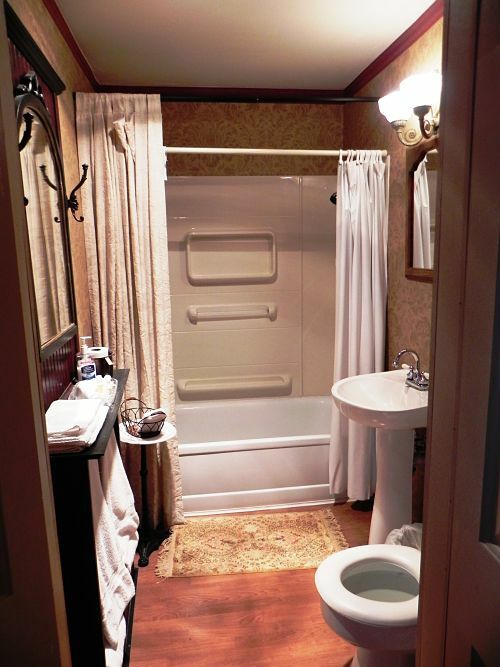 It includes 2 full beds and private bath. 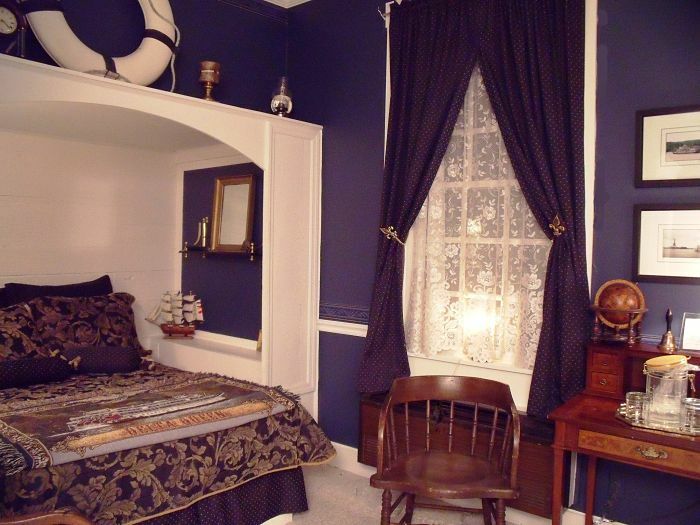 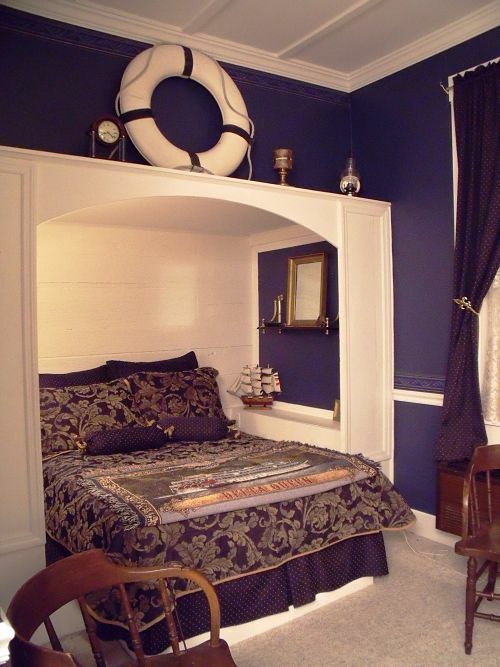 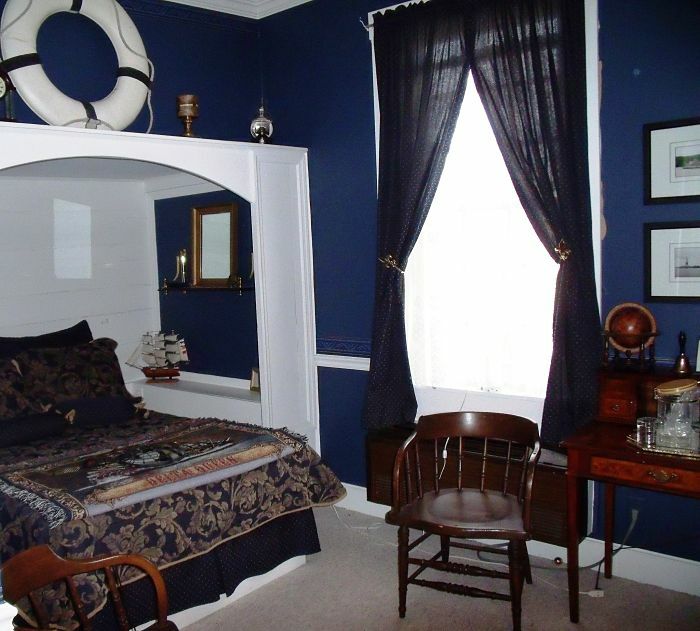 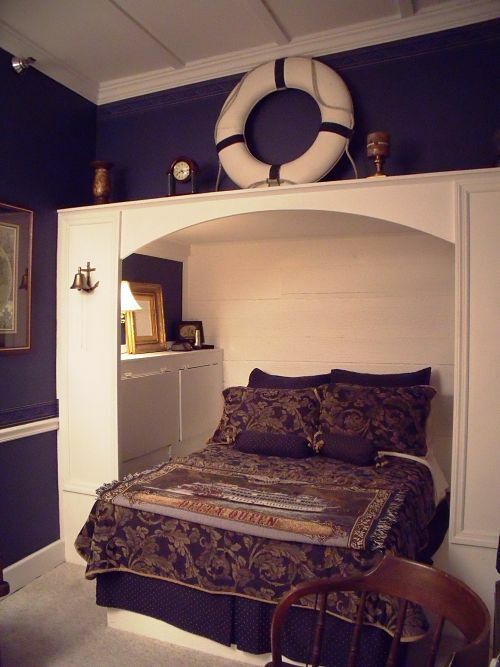 Celebrating Augusta’s rich history of river travel, these captain’s quarters features a full size bed and full bath. Reminiscent of the pullman cars that once brought weary travelers to Augusta, this room provides a queen size bed and bath. 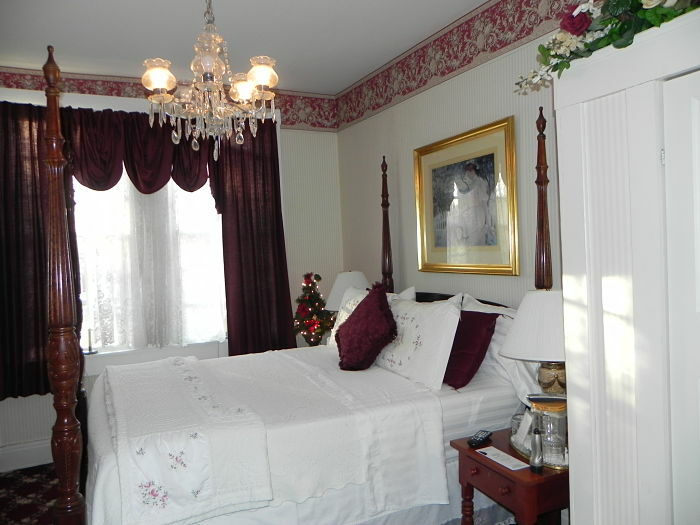 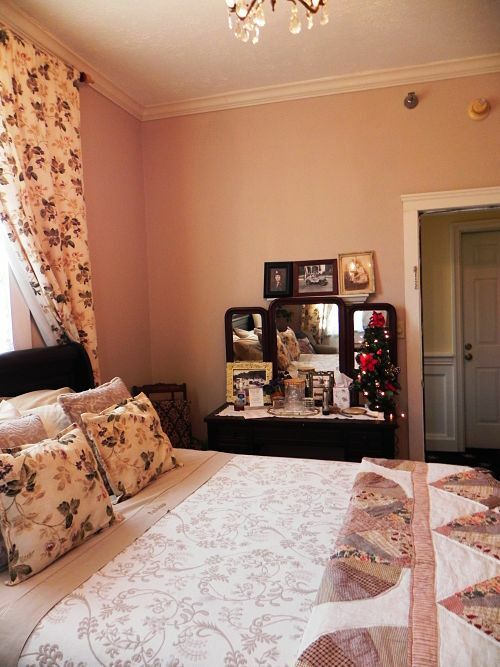 This room features a queen size sleigh bed that is often requested by out-of-town businessmen and women! 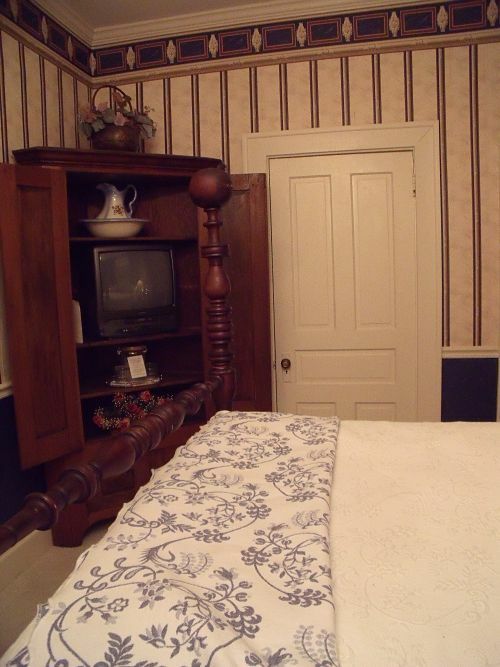 Sure to provide a comfortable night’s rest! 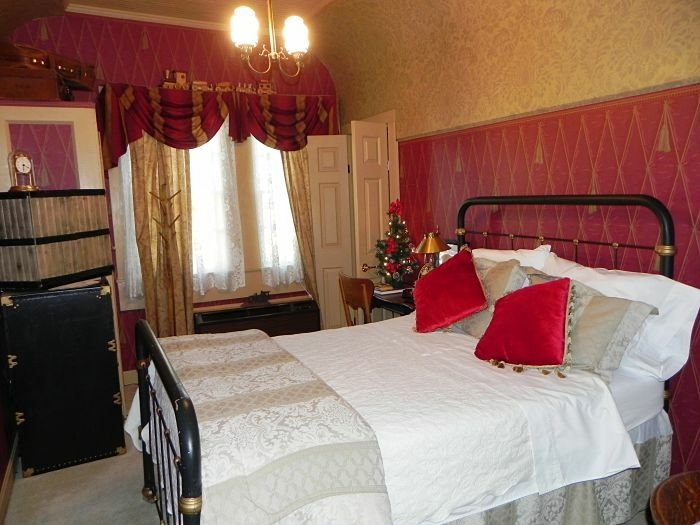 A two bedroom suite with a queen four poster bed and twin beds in adjoining room. 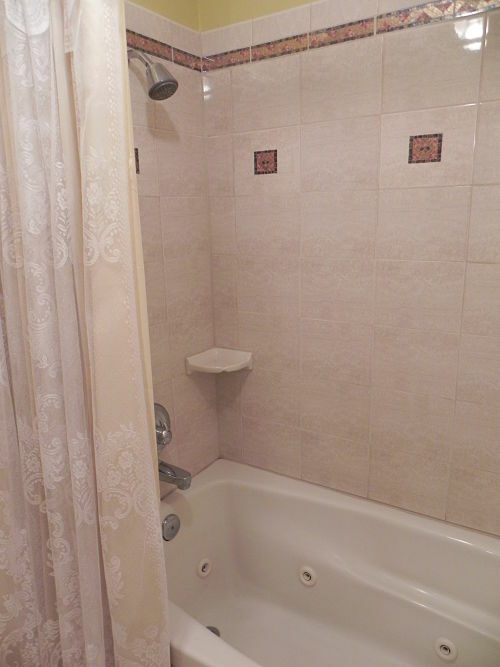 Bathroom has a jacuzzi tub for relaxing. 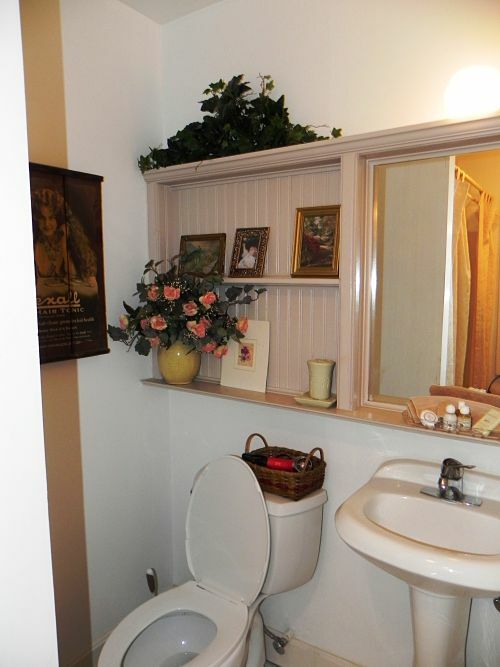 Perfect for a family!